People do not just represent the end of the world, attributing the role of executioner is fatal flooding, the terrible disease, a nuclear war. In fact, everything was somewhat exotic. Collapsed into one of the outlying islands was a huge asteroid spaceship capable of completely change the Earth's climate. We went to the study of anomalies of troops in North Korea and the U.S. were the only defenders of humanity. Prepare to face with the unknown enemy - in this battle you play a critical role! New exciting fantasy gunman Crysis - this brilliant creation of company Crytek Studios, famous project FarCry! Players are to become fighters elite American units and go to the island, which was discovered spaceship aliens. The world around us is constantly changing, vast territory covered by ice suddenly, around the raging hurricanes and tornadoes. But most importantly - on the island, there are those who are going to destroy humanity!
" The plot, worthy of the book! Potential adversaries - the armed forces of North Korea and NATO - are forced to unite in the face of new dangers. You will find yourself in the center of chilling events and become a witness to the slow death of the Earth!
" Completely change the world! All around literally transformed in the eyes, and the reason is not only alien craft. Each shot and explosion left an indelible imprint on the island!
" The most intelligent enemies! Alien monsters, eager to destroy humanity, studying at an incredible speed! In group and one by one, with powerful weapons and conventional pistols, at any place and at any time they make jittery even experienced players. Get ready, Crysis will change your idea about artificial intelligence!
" Technique Saves the World! In Crysis you to manage trucks, tanks, boats and even helicopters. This battle for the destiny of mankind, you will never forget!
" Dynamic gameplay: new weapons and equipment, new, photo-realistic, landscape, fully interactive battlefield!
" Enhanced AI: enemies are smarter job - more difficult, and AI - Allies - smarter!
" The package includes a new module of collective game - Crysis Wars ®. New game modes, 21 cards, including 7 brand new - a first sight!
" To run Crysis: Wars do not need the original game.
" The company Crytek always bring to market high-quality projects. In Crysis, two developers of computer surpassed themselves. New York is waiting for you.
" Artificial intelligence is built in such a way as if you are opposed to really think alien beings. They can work in a team and - face all of a player deliberately and realistically.
" In the game you can use different tactics and abilities. This will help you outfit Nanosuit, with settings that you can teach your character a lot new that should be useful in combat.
" For a collective game, in his new creation Crysis 2 Crytek UK company has retained all the features single. Settings costume Nanosuit 2 will help you with this.
" Be ready in mortal combat to defeat the invaders and liberate the planet! download Crysis Anthology (2007-2011/ENG/RUS/RePack by R.G Catayust) Release of 25/07/2011 full version pc game | Play Crysis Anthology (2007-2011/ENG/RUS/RePack by R.G Catayust) Release of 25/07/2011 Online | free Crysis Anthology (2007-2011/ENG/RUS/RePack by R.G Catayust) Release of 25/07/2011 Play | Crysis Anthology (2007-2011/ENG/RUS/RePack by R.G Catayust) Release of 25/07/2011 System Requirements | Crysis Anthology (2007-2011/ENG/RUS/RePack by R.G Catayust) Release of 25/07/2011 demo download | Crysis Anthology (2007-2011/ENG/RUS/RePack by R.G Catayust) Release of 25/07/2011 Compressed | Crysis Anthology (2007-2011/ENG/RUS/RePack by R.G Catayust) Release of 25/07/2011 Ripped | Crysis Anthology (2007-2011/ENG/RUS/RePack by R.G Catayust) Release of 25/07/2011 Online | Crysis Anthology (2007-2011/ENG/RUS/RePack by R.G Catayust) Release of 25/07/2011 gameplay| Crysis Anthology (2007-2011/ENG/RUS/RePack by R.G Catayust) Release of 25/07/2011 Trailer| Crysis Anthology (2007-2011/ENG/RUS/RePack by R.G Catayust) Release of 25/07/2011 Full version download|How to download Vesuvia [FINAL] Download best pc games-full version pc games Free Full Version PC Games Download, tips and tricks for Top PC gamers for free unlimited how to download full version PC games list. Updated online full version PC games and reviews, Strategy, RPG. No registration needed.DOWNLOAD PC GAMES RAPID SHARE LINKS RS LINS FREE. Vesuvia [FINAL] Free pc game | Crysis Anthology (2007-2011/ENG/RUS/RePack by R.G Catayust) Release of 25/07/2011 Patch Nocd| Crysis Anthology (2007-2011/ENG/RUS/RePack by R.G Catayust) Release of 25/07/2011 Crack| Crysis Anthology (2007-2011/ENG/RUS/RePack by R.G Catayust) Release of 25/07/2011 Serial| Crysis Anthology (2007-2011/ENG/RUS/RePack by R.G Catayust) Release of 25/07/2011 Keygen| Crysis Anthology (2007-2011/ENG/RUS/RePack by R.G Catayust) Release of 25/07/2011 megaupload| Crysis Anthology (2007-2011/ENG/RUS/RePack by R.G Catayust) Release of 25/07/2011 rapidshare links| Crysis Anthology (2007-2011/ENG/RUS/RePack by R.G Catayust) Release of 25/07/2011 cd key| Crysis Anthology (2007-2011/ENG/RUS/RePack by R.G Catayust) Release of 25/07/2011 United States| Crysis Anthology (2007-2011/ENG/RUS/RePack by R.G Catayust) Release of 25/07/2011 canada| Crysis Anthology (2007-2011/ENG/RUS/RePack by R.G Catayust) Release of 25/07/2011 US| Crysis Anthology (2007-2011/ENG/RUS/RePack by R.G Catayust) Release of 25/07/2011 Game Cheats| Crysis Anthology (2007-2011/ENG/RUS/RePack by R.G Catayust) Release of 25/07/2011 Computer Game| Crysis Anthology (2007-2011/ENG/RUS/RePack by R.G Catayust) Release of 25/07/2011 multiplayer key code|Free downloadable Crysis Anthology (2007-2011/ENG/RUS/RePack by R.G Catayust) Release of 25/07/2011 game|Download Crysis Anthology (2007-2011/ENG/RUS/RePack by R.G Catayust) Release of 25/07/2011 demo| Crysis Anthology (2007-2011/ENG/RUS/RePack by R.G Catayust) Release of 25/07/2011 PSP| Crysis Anthology (2007-2011/ENG/RUS/RePack by R.G Catayust) Release of 25/07/2011 mediafire links | Crysis Anthology (2007-2011/ENG/RUS/RePack by R.G Catayust) Release of 25/07/2011 Hardware requirements| Crysis Anthology (2007-2011/ENG/RUS/RePack by R.G Catayust) Release of 25/07/2011 pc shkarko lojra falas| Crysis Anthology (2007-2011/ENG/RUS/RePack by R.G Catayust) Release of 25/07/2011 ????????? PC ???? ?????? 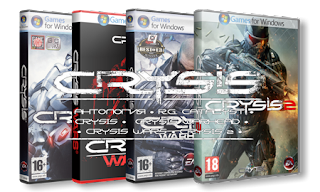 ?| Crysis Anthology (2007-2011/ENG/RUS/RePack by R.G Catayust) Release of 25/07/2011 descarregar jocs gratuïts pc| Crysis Anthology (2007-2011/ENG/RUS/RePack by R.G Catayust) Release of 25/07/2011 besplatni pc igre download| Crysis Anthology (2007-2011/ENG/RUS/RePack by R.G Catayust) Release of 25/07/2011 PC hry zdarma ke stažení| Crysis Anthology (2007-2011/ENG/RUS/RePack by R.G Catayust) Release of 25/07/2011 gratis pc-spil download| Crysis Anthology (2007-2011/ENG/RUS/RePack by R.G Catayust) Release of 25/07/2011 Gratis pc games downloaden| Crysis Anthology (2007-2011/ENG/RUS/RePack by R.G Catayust) Release of 25/07/2011 tasuta arvuti mänge laadida| Crysis Anthology (2007-2011/ENG/RUS/RePack by R.G Catayust) Release of 25/07/2011 laro download| Crysis Anthology (2007-2011/ENG/RUS/RePack by R.G Catayust) Release of 25/07/2011 Vapaa PC-pelit Lataa| Crysis Anthology (2007-2011/ENG/RUS/RePack by R.G Catayust) Release of 25/07/2011 télécharger gratuitement des jeux pc| Crysis Anthology (2007-2011/ENG/RUS/RePack by R.G Catayust) Release of 25/07/2011 PC xogos download gratuito| Crysis Anthology (2007-2011/ENG/RUS/RePack by R.G Catayust) Release of 25/07/2011 PC-Spiele kostenlos herunterladen| Crysis Anthology (2007-2011/ENG/RUS/RePack by R.G Catayust) Release of 25/07/2011 ingyenes számítógépes játékokat letölteni| Crysis Anthology (2007-2011/ENG/RUS/RePack by R.G Catayust) Release of 25/07/2011 PC Games download gratuito| Crysis Anthology (2007-2011/ENG/RUS/RePack by R.G Catayust) Release of 25/07/2011 bezplatne pobieranie| Crysis Anthology (2007-2011/ENG/RUS/RePack by R.G Catayust) Release of 25/07/2011 jogos download gratuito| Crysis Anthology (2007-2011/ENG/RUS/RePack by R.G Catayust) Release of 25/07/2011 ????????? ???????????? ???? ?????? ?| Crysis Anthology (2007-2011/ENG/RUS/RePack by R.G Catayust) Release of 25/07/2011 ????????? ?? ???? ??????? ?| Crysis Anthology (2007-2011/ENG/RUS/RePack by R.G Catayust) Release of 25/07/2011 hry zadarmo k stiahnutiu| Crysis Anthology (2007-2011/ENG/RUS/RePack by R.G Catayust) Release of 25/07/2011 descargar juegos gratis pc| Crysis Anthology (2007-2011/ENG/RUS/RePack by R.G Catayust) Release of 25/07/2011 ücretsiz bilgisayar oyunlari indirme| Crysis Anthology (2007-2011/ENG/RUS/RePack by R.G Catayust) Release of 25/07/2011 ??????????? ????'?????? ???? ?????????? ?| Vesuvia [FINAL] Free PC Games Download -Download best pc games-full version pc games Free Full Version PC Games Download, tips and tricks for Top PC gamers for free unlimited how to download full version PC games list. Updated online full version PC games and reviews, Strategy, RPG. No registration needed.DOWNLOAD PC GAMES RAPID SHARE LINKS RS LINS FREE.Full Version PC Games - Direct Download Games: Vesuvia [FINAL] pc trò choi mi?n phí t?i v? . .